Grace Coolidge, wife of Calvin, had Rebecca the Raccoon as a pet. I’m glad she was happy with Rebecca, but I have had it with my family of raccoons invading our house. At first, they stayed outside and ate the fish food. 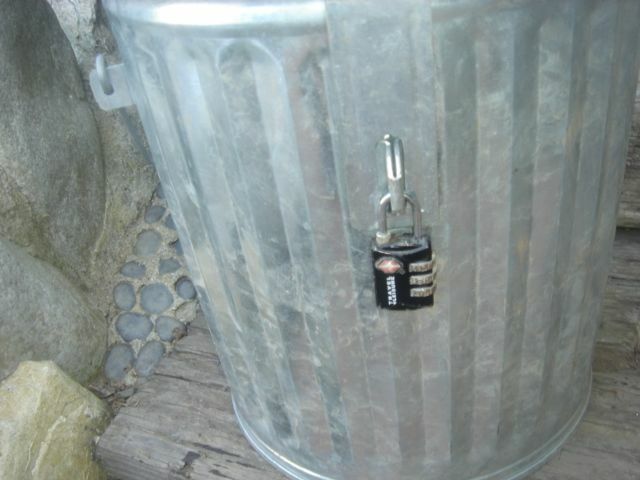 John solved that problem with a padlock. 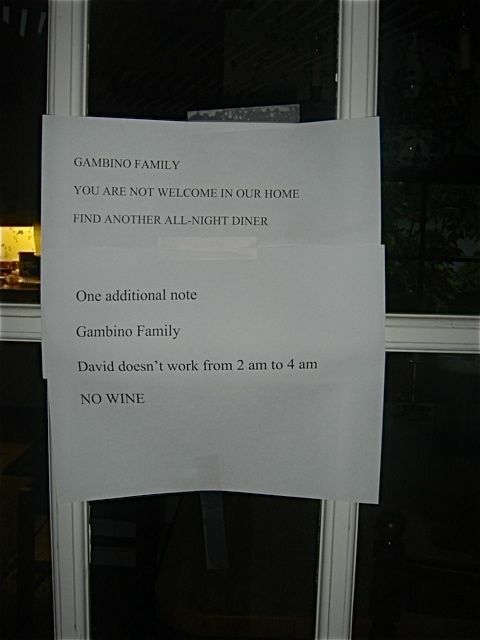 I got so fed up that I posted this notice on our kitchen door – I did name our raccoon family the Gambino’s and our son, David is an excellent restaurant GM as well as a super sommelier. Well the signage didn’t help and the Gambino’s ate all the dog food, washed their hands in the dog’s water bowl, went on to devour all bread stuff and generally made themselves at home in our kitchen. Time to get really serious about this problem. I called our “chemical free- safe to pets” exterminator (also had a rat who was nesting in the house plus spiders and termites) and he said he doesn’t handle raccoons. They have to be trapped and then by California law are set free in some reserve. 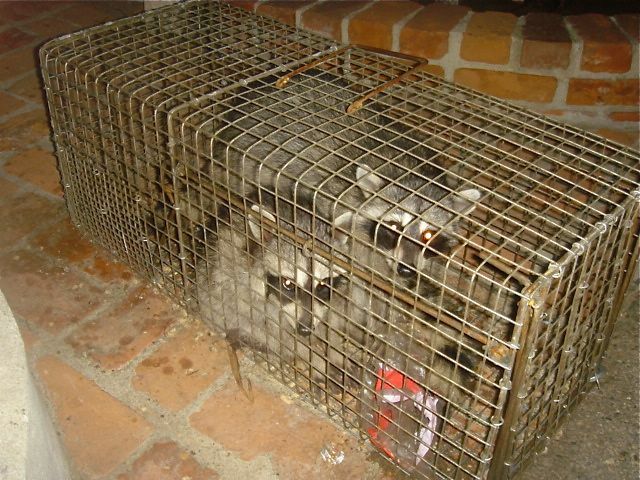 Well Trapper John showed up with 2 traps – $150 per trap rental fee for 2 weeks. 12 days – absolutely nothing. Then, I decided that Sara Lee soft hamburger buns in the trap just might be the perfect enticement. Each to his own – I would have held out for caviar, foie gras, truffles and great wine. Gotcha you! 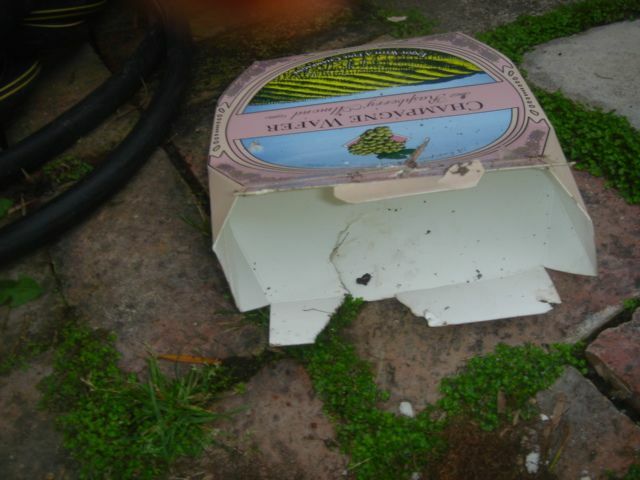 John didn’t trust these guys and put the fish food can on top of the trap. You can see the empty Sara Lee bag. Long story short, Trapper John came and released the Gambino’s to a retreat. I think the retreat was at the end of our road because they are back – eating everything that isn’t hidden and locked up. 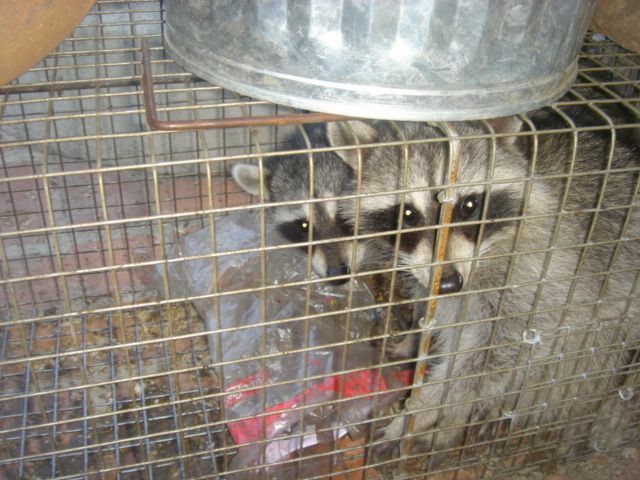 Yes, we looked into a doggie door that is raccoon proof – let’s just say it was a small fortune.